The New York Philharmonic Orchestra has a particularly great Mahler tradition that dates back to the composer leading the orchestra in 1909. 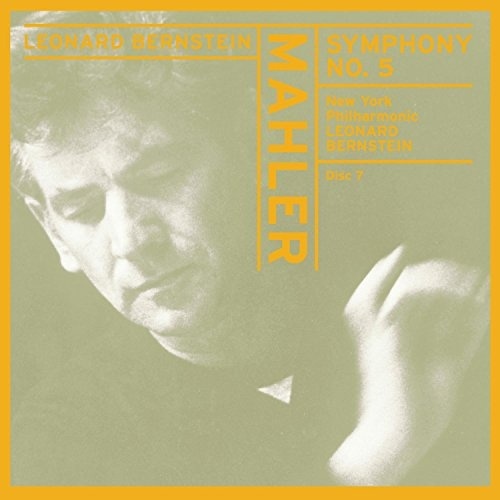 On this recording, Leonard Bernstein directs the orchestra in the Symphony No.5, a performance that is part of the Bernstein Century series on Sony. A great proponent of Mahler's music, Bernstein was one of the first conductors to record all of the composer's symphonies. The Fifth Symphony is the last work Mahler wrote before a world of grief fell upon him and his family. Mahler said "a symphony is like the world: it must embrace everything," and this is true of the Fifth Symphony. The work opens with a funeral march and concludes in triumph; all of life's travails and joys are present. Bernstein grasped the duality of the work, balancing ferocity and tenderness. The opening "Trauermarsch" is dramatic, and the Scherzo almost demonic. In the famous Adagio, the New York Philharmonic strings sing with an elegant, noble tone. The finale is treated like a boisterous romp and provides a wonderfully energetic conclusion to a thrilling performance.